Same-day sewer cleaning or sewer repairs from experienced NJ plumbers. Is your sewer pipe clogged? If so, the problem might be tree roots growing inside it. Tree roots love to invade sewer lines, quickly blocking off water flow and causing clogs, sewer backflow, and other plumbing problems. 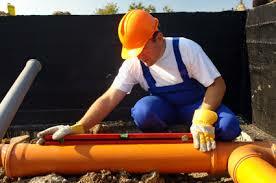 At A1 Sewer & Drain Services, our experienced local plumbers provide professional solutions. 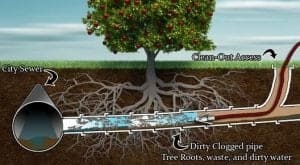 We can perform sewer hydro jetting, sewer repairs, and other procedures to remove tree roots and keep them out in the future. For fast, effective sewer repairs today, call us any time at A1 Sewer & Drain Services, at 201-645-0888. 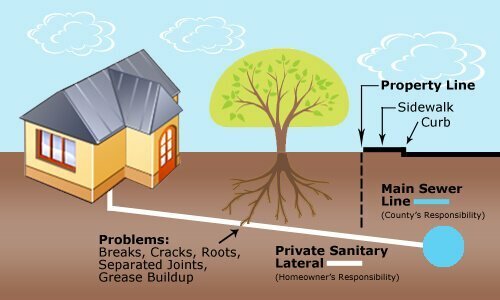 Tree roots are a leading cause of sewer pipe damage on residential properties, accounting for up to 80% of cases. Tree roots can cause serious damage in a short amount of time, since the environment inside the sewer line enables them to grow very quickly. 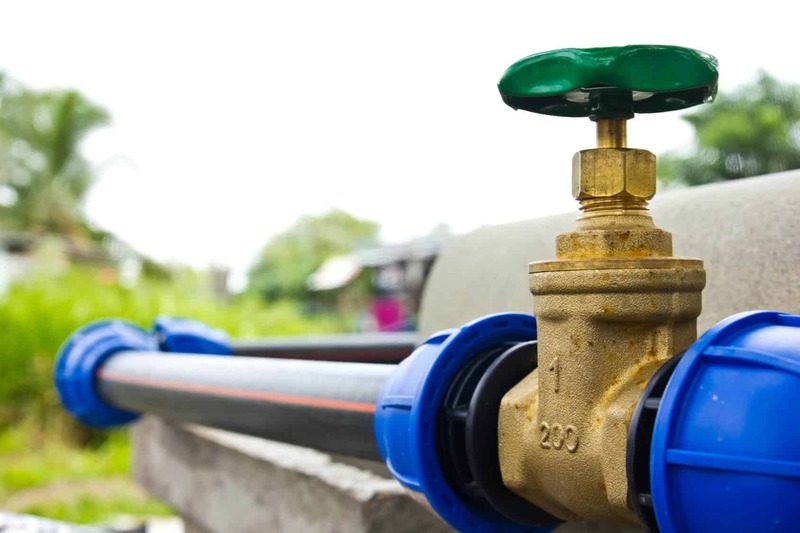 The concealed location of the both pipes and roots makes it nearly impossible for homeowners to notice the problem until damage has already been done. 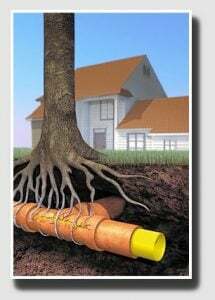 Roots grow into sewer lines because they have a high concentration of the environmental factors that attract new shoots: warm moisture and plentiful nutrients. Trees that are adapted to moist soil conditions are especially likely to invade sewer pipes. Small holes and cracks in sewer pipes are fairly common, and although they don’t necessarily compromise water flow, they provide roots with a convenient point of entry. Once inside, they grow rapidly, filling up the pipe and enlarging holes in the pipe walls. Eventually, the problem can lead to the pipe bursting or collapsing, requiring costly sewer replacement and excavation. Clogged, damaged, or collapsed sewer lines can create sudden but serious plumbing problems like multiple clogged drains, sewer smells, and sewer backflow. Flooding from wastewater backup can ruin walls, flooring, and furniture, as well as requiring careful water removal due to biohazardous bacteria. To prevent water damage, it’s important to call a plumber as soon as possible for sewer repair service. If tree roots are blocking off your sewer main line, the first step in removing them is sewer cleaning. If the roots are very large and thick, we may need to use specialized equipment to physically cut through the roots. Then, high-pressure water jets from hydro jetting equipment breaks apart and washes away the remaining gunk and debris. This leaves your sewer pipe clear. Then, we use a sewer inspection camera to find cracks, holes, and other faults in the pipe. 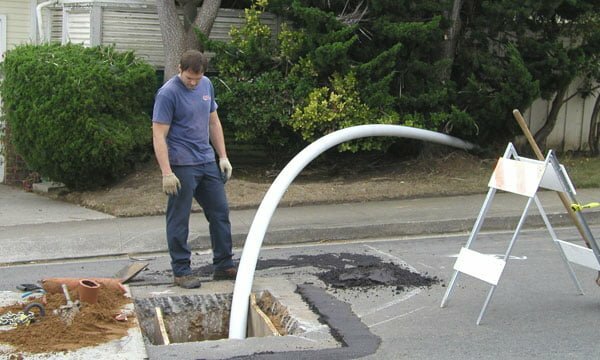 In many cases, minor damage to the sewer main line can be fixed easily with trenchless sewer repair techniques. The sewer cleaning process can be completed in a matter of hours, sometimes as little as 45 minutes. It’s done through the sewer cleanout, and doesn’t require any disruptive excavation. To find out more about our sewer cleaning services, call us today. 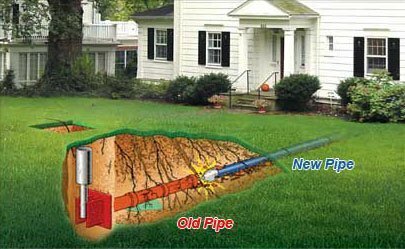 After removing roots from your sewer line, we will usually need to perform some kind of sewer repairs to fix the damage that they’ve caused. Pipes with cracks, holes, and leaks can often be patched up with cure-in-place pipe (CIPP) relining. 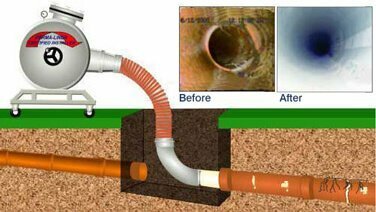 Sewer relining is a quick, minimally disruptive process that can be carried out through the sewer cleanout, without any sewer excavation. Cure in place pipe liners are made from fiberglass wool or similar materials, coated in resin. They’re lowered into place on a pneumatic bladder, which is inflated inside the pipe to press the liner up against the walls. The resin can be cured and hardened with heat or UV light, and becomes hard, durable, and watertight. CIPP liners are also highly resistant to corrosion, and can last up to 50 years after installation. At A1 Sewer & Drain Services, we provide reliable, same-day sewer cleaning and sewer repair service in NJ, including 24/7 availability for emergency calls. For great quality service from NJ’s best local sewer plumbing contractors, call us today at 201-645-0888. Clogged sewer line? Call us today at A1 Sewer & Drain Services for same-day sewer cleaning or sewer repairs from experienced NJ plumbers, at 201-645-0888.